I recently read Jesus on Every Page: 10 Simple Ways to Seek and Find Christ in the Old Testament by David Murray, which was sent to me by BookSneeze for this review. In Jesus on Every Page, author David Murray explores 10 different ways to find Jesus in the Old Testament. I think we've all experienced the apparent dichotomy of the Bible--the God of the Old Testament and the God of the new Testament seem to be so different, it's sometimes hard to believe that it's the same God. Murray's premise is that the old and new testaments are not all that different, that in fact, the whole of the Old Testament is pointing toward Jesus the Christ, and that Jesus has been present from the very beginning of history and is indeed present throughout the entire Bible. Murray begins by telling readers of his own journey to discovering Jesus in the Old Testament, before moving on to show what the Old Testament is all about according to Peter, Paul, John, and Jesus himself. In part 2 of the book, Murray exposes 10 different specific examples of Old Testament scriptures and stories revealing Jesus. I liked this book. It really made me examine my attitudes about the Old Testament and the Bible in general. I also found myself looking for Jesus, not just in the Old Testament, but in my daily life as well. The book is well written and interesting, and includes a study guide in the back of the book, for individual use, or for use by small groups. There is also a comprehensive subject index and scripture index, which makes this book useful as a reference work. Thank you to BookSneeze for providing me a copy of this book, free of charge, in exchange for my honest review. I can't remember when I first heard of Mystery Shopping, but it was a long time ago. I thought it sounded like fun, but I also thought it sounded a little fishy. I mean, companies actually pay people to anonymously go in and shop in their stores and give them feedback? OK, now that I put it out there in print, it makes a lot of sense. How else will they know what their employees are doing? This summer, I signed up with a mystery shopping company, and in September, with a little bit of trepidation (how was I going to remember everything I was supposed to remember and comment on? What if they figured out I was there under false pretenses? More importantly, what if I couldn't find a parking spot?! ), I set off for my first assignment. It was so much fun! And I was hooked. Since then, I've signed up for a couple more companies, and done mystery shops at thrift stores, drug stores, a daycare center, shipping services, and restaurants. I'm definitely not going to get rich mystery shopping, but it is a fun way to earn a little extra money. 1. Go with a reputable company. How do you know it's legit? Make sure it's listed with the Mystery Shopping Providers Association. Another clue: you will never have to pay a fee to sign up with a legitimate mystery shopping company. 2. Yes, you do need to provide your Social Security number. Mystery Shopping is a job. You are an independent contractor, and as such, you do need to report your mystery shopping income and pay taxes on it. Some companies will allow you to wait to provide your SSN, others require it before you can do any work for them. 3. Mystery shoppers need to have an eye for detail, a good memory, and good written communication skills. Yes, it's a lot of fun mystery shopping, but clients take these reports very seriously, and, as a mystery shopper, so should you--this isn't something you should just do on a whim. There are lots of details that need to be assessed and recorded, and your reports need to be well written and professional. I might spend 15-20 minutes in a store doing the shop, and another 30-45 minutes writing my report. 4. Yes, mystery shopping makes a difference. As I said, clients take mystery shopping reports very seriously. I did a series of internet inquiry mystery shops, and discovered a flaw in the client's system. As a result, the client is fixing the flaw to make their customer experience better. Click here for more general information about mystery shopping. Still interested? I do most of my shopping for BestMark and Bare International. In fact, so far, I've done all of my shopping for BestMark and Bare International. Check it out. P.S. If you sign up for BestMark, please enter my shopper ID (WI9625) when the application asks who referred you--I might get a little one time referral fee, depending on the types of shops you choose to do. They are especially looking for Chevy or Buick/GMC owners with between 4,000 and 100,000 miles. You may have noticed from the above picture that our bedroom is in a bit of disarray, with furniture pulled away from the walls like so many islands in a carpeted sea. This is one of the things that I wanted to tell you, but haven't gotten around to until now. See, we've lived in this house for almost 8 years now. And up until a few weeks ago, we had a huge mirrored headboard in our bedroom. It drove me nuts because 1. we couldn't have it up against the wall because of the location of the heating vents and 2. it partially obscured both of the windows on that wall. So now you know why I've been so ca-raazy the past 7 years. OK, maybe we can't blame that on the headboard. Anyway, it really bothered me, and now that I have all this time on my hands when the kids are in school, (hey look, I managed to say that without giggling uncontrollably or being struck by lightening) I decided to do something about it. We sold the headboard, and I'm making a new one. But first, we decided to paint. So our bedroom is in disarray. Paint goes on the walls starting today. Yay. But here's the other thing. Our drier decided to go on strike. That's right. I found out that our drier had demands after I stuck a full load of clean, but wet, laundry in it. Bummers. I love these verses from Psalm 121. They've been some of my favorites ever since I discovered them on a mission trip years ago. Some translations say "mountains" instead of "hills", and I have always loved mountains. Seeing mountains reminds me of God's power and my insignificance. Mountains have always meant peace and comfort and that God is bigger--so much bigger--than any trials that could come my way. I saw these verses as a reminder that God's there to help. In kind of a vague, here's-a-resource-for-you kind of way. And if I ever needed that reminder, I could look at some mountains. Conveniently, I have a picture of mountains in my living room. But today? Today I read with new eyes. I have a couple of friends who are going through difficult seasons in their lives. No, not just difficult. I don't even have the words to describe their struggles. These women are facing hills. Steep hills. Mountains. Obstacles so vast that it is impossible to see over or around or through them. They are staring up at these hills and wondering how they will ever climb up and over and through to the other side. They are wondering if they will survive. My friends are facing impossible situations. I lift up my eyes to the hills. Where does my help come from? You know how, when a trial first comes upon you, you put your head down and start powering through? Oh, you might sit around for a while moaning about it, but you're fresh. You can do this. You can do anything for a short time. And you get right to it. Maybe even cheerfully, because the situation gives you a sense of purpose--something on which to focus. But then it starts to get old. You get worn out, weary. The end of this struggle, which you thought was in sight, turns out to be just a mirage. The freshness, the faith with which you entered this season, has been replaced by fatigue and doubt, as trouble drags on and on. My friends need help. Real help. Now. God. God is just waiting to carry us through. When we're at the very end of ourselves, when we cannot take even one more step, God will pick us up and somehow, some holy and mysterious way, give us strength for the next day, or the next hour, or sometimes, even just the very next minute. Our help comes from the LORD, the Maker of hills and mountains, of ocean and sky. The Maker of...us. If anyone knows how to get us over and around and through the obstacles in our paths, it's the Maker of heaven and earth. Don't you just love it when you suddenly understand an old favorite Bible verse in a new way? I look ahead of me and I see impossible obstacles in my path. How will I ever get through to the other side? Will I get through to the other side? Who will help me? Who can help me? The LORD God, who made everything, will help me. God knows just how to conquer this obstacle. God will provide stable footholds for me and will not let me fall. as the LORD protects me and guides me on this journey. I'm gonna let you in on a little secret that will change your life. OK, maybe not your life, but this secret will definitely change the way you roast pumpkin seeds. Oh, you don't roast pumpkin seeds, you say? 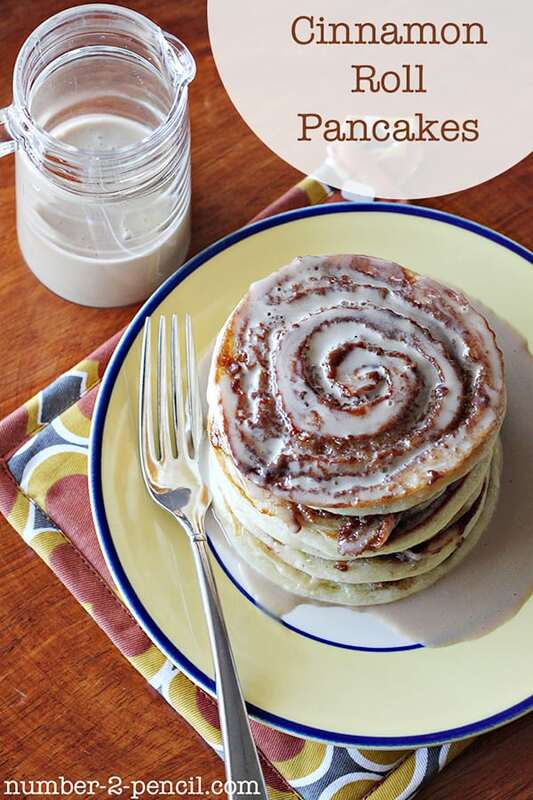 Well, you're going to want to start, because these are so yummy. And yes, I know. It's kind of hard to find pumpkins right now, today, on the 7th of November, but all of you who bought pumpkins intending to carve them for Hallowe'en but never got around to it? You're going to be glad you're a pumpkin procrastinator today. I've roasted pumpkin seeds. They've been pretty good, but I've never really liked the texture--a little too chewy. These pumpkin seeds are just over the top crunchy perfection. Here's what you've gotta do. Boil the pumpkin seeds before you roast them! I came across this tip online and I was super skeptical. I mean, really! How in the world is getting the seeds wet going to help them be crispy? But I tried it, and it worked. Apparently, boiling the seeds makes them easier to digest as well. Separate the seeds from the pulp and wash them. Tedious, but worthwhile. Boil the seeds. Place the seeds in a pot of salted water--I used about 1 tsp of salt in about a quart of water. Bring to a boil and simmer, uncovered, for 10 minutes. Then drain and pat dry. They don't have to be bone dry, so don't stress over this step--just pat 'em dry and move on. Place the seeds on a rimmed baking sheet and drizzle with olive oil (I bet coconut oil would be terrific too). Massage the oil into the seeds so that they're all covered--I used about 1 tsp of olive oil for about 1.5 c. of seeds--and spread into a single layer. Sprinkle with whatever seasonings you like--I just used a generous sprinkle of salt. Bake in a 325* oven for about 20 minutes, stirring after about 10 minutes and checking carefully from about 15 minutes on. Careful not to overcook! The inner seed cooks faster than the outer shell, so they might be done before they look done. That's it! Try it, my friends. You will be treated to the yummiest pumpkin seeds ever. Crazy, how time trickles away, isn't it? November already. Yowza. I have so many things I want to share with you, but somehow other responsibilities keep filling my days and smooshing blogging over into a neglected corner of my brain. You know, where even the spiders are afraid to go because of what might be lurking over there. At this point, so much has happened since the last time we spent time together that I don't think I'll ever catch up. 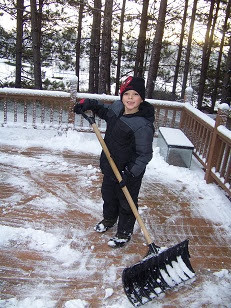 Bubby was out before the school bus this morning, shoveling our first measurable snowfall of the season. And yes, that is our old faithful shovel, still with us two years later, at the beginning of a new snowy season. When we came out here to look for a house, we left our then-kindergartner, AKD, and his younger brother home with a family friend. We asked him what we should look for in a house, and AKD's one requirement was a sledding hill. We moved in to our present home in February, and that first winter AKD, MC, and I sledded on our property every day after school. Today, our current kindergartner wanted to sled in the freshly fallen snow. Knowing the snow would most likely be melted by the time he returned from school, I got the boy a sled (at great personal peril) and he joyfully abandoned the shoveling to slide down the hill in front of our house several times before the bus arrived to whisk him off to school. What joy, what peace there is in this white blanket covering the earth. It makes everything new. Bask in the newness today, my friends.